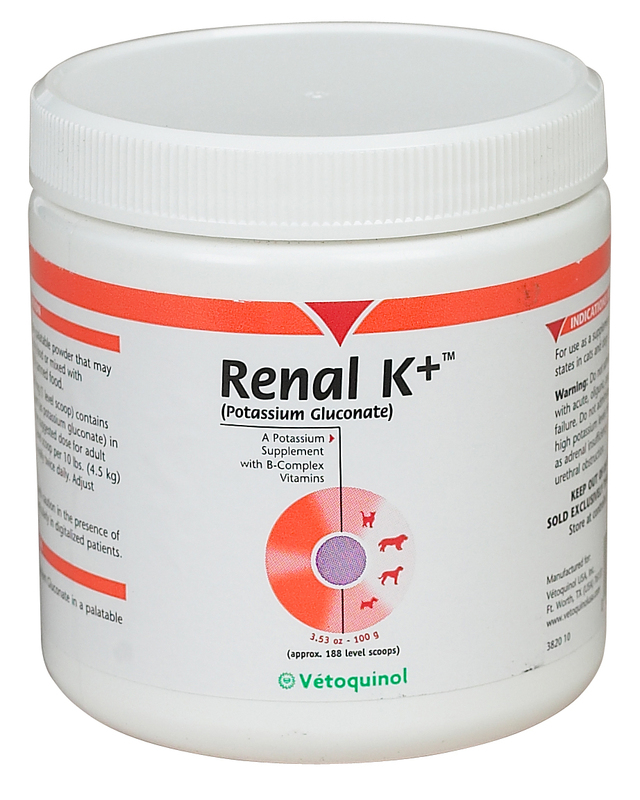 Renal K+ Powder is the solution for dogs and cats who need B-Complex vitamin and supplemental potassium for renal health. Renal K+ is palatability-tested. It can be sprinkled over dry food or mixed with canned food. This products helps heal potassium deficiencies in pets and improve renal health. Adult cats and dogs should receive 1 level scoop per 10 lbs of body weight twice daily.